This PDF 1.6 document has been generated by / PDFlib+PDI 6.0.2 (.NET/Win32), and has been sent on pdf-archive.com on 04/05/2017 at 01:41, from IP address 73.9.x.x. The current document download page has been viewed 382 times. File size: 96 KB (6 pages). Representatives are available Monday-Friday 8:00a.m.-10:00p.m. Eastern Time (excluding federal holidays). Immigration Services, if we determine that you are a U.S. citizen. 2. PROOF OF IDENTITY: You must present your original identification AND submit a photocopy of the front and back with your passport application. 3. RECENT COLOR PHOTOGRAPH: Photograph must meet passport requirements – full front view of the face and 2x2 inches in size. 4. FEES: Please visit our website at travel.state.gov for current fees. travel.state.gov or contact the National Passport Information Center at 1-877-487-2778. Follow the instructions on Page 2 for detailed information to completion and submission of this form. - Original parental/guardian government-issued identification AND a photocopy of the front and back side of presented identification. - Second parent's notarized written statement or DS-3053 (including the child's full name and date of birth) consenting to the passport issuance for the child. - A written statement or DS-5525 (made under penalty of perjury) explaining in detail the second parent's unavailability. - Each minor child applying for a U.S. passport book and/or passport card must appear in person. 16 at the time of issuance, you may be eligible to use Form DS-82 to renew your passport by mail. MAY RESULT IN SIGNIFICANT PROCESSING DELAYS AND/OR THE DENIAL OF YOUR APPLICATION. by fine and/or imprisonment under 18 U.S.C. 1544. All statements and documents are subject to verification. other certification of the official custodian of such records (state, county, or city/town office), and the full names of your parent(s). - If the birth certificate was filed more than 1 year after the birth: It must be supported by evidence described in the next paragraph. name and surname, date and/or place of birth, and the seal or other certification of the office (if customary), and the signature of the issuing official. some of the records listed above. marriage/certificate and/or evidence that you were in the legal and physical custody of your U.S. citizen parent, if applicable. and abroad before your birth. you to provide additional evidence to establish your claim to U.S. citizenship. Visit travel.state.gov for details. military identification; or federal, state, or municipal government employee identification card. Temporary or altered documents are not acceptable. establish your identity. If you have changed your name, please see travel.state.gov for instructions. IF YOU CANNOT PROVIDE DOCUMENTARY EVIDENCE OF IDENTITY as stated above, you must appear with an IDENTIFYING WITNESS, who is a U.S.
complete and sign an Affidavit of Identifying Witness (Form DS-71) before the acceptance agent. You must also submit some identification of your own. qualifications, and will be accepted for use at the discretion of Passport Services. Visit our website at travel.state.gov for details and information. FEES ARE LISTED ON OUR WEBSITE AT TRAVEL.STATE.GOV. BY LAW, THE PASSPORT FEES ARE NON-REFUNDABLE. acceptance facilities do not accept credit cards as a form of payment. regarding fees and processing times for expedited service. Expedited service is only available for passports mailed in the United States and Canada.  OVERNIGHT DELIVERY SERVICE is only available for passport book mailings in the United States. Please include the appropriate fee with your payment. of Birth Abroad because you are unable to submit evidence of U.S. citizenship. new passport, please contact the National Passport Information Center. problem with your application or if you need to provide information to us. passport book, and one with your newly issued passport card. may be denied and you are subject to a $500 penalty enforced by the IRS. All questions on this matter should be referred to the nearest IRS office. will be shown on your regular account statement. funds, we may try to make the transfer up to two times, and we will charge you a one-time fee of $25, which we will also collect by EFT. invalidation of your passport. An invalidated passport cannot be used for travel. 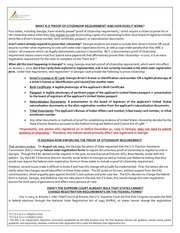 persons ineligible or potentially ineligible to receive a U.S. passport, among other authorized uses. will be released to your sponsoring agency for forwarding to you. REPORT YOUR LOST OR STOLEN PASSPORT BOOK OR PASSPORT CARD! passport renewal (Form DS-82), call NPIC at 1-877-487-2778 or visit travel.state.gov. U.S. passports, either in book or card format, are only issued to U.S. citizens or non-citizen U.S. nationals. Each person must obtain his or her own U.S.
valid only for entry at land border crossings and sea ports of entry when traveling from Canada, Mexico, the Caribbean, and Bermuda. The U.S.
passport card is not valid for international air travel. data page. The electronic passport book is usable at all ports-of-entry, including those that do not yet have electronic chip readers. port-of-entry areas where the electronic passport book can be read. and a supplementary explanatory statement under oath (or affirmation) by the applicant should be attached and made a part of this application. bearing arms against, the United States, or conspiring to overthrow, put down, or to destroy by force, the government of the United States. subpoena received from the United States in a matter involving federal prosecution for, or grand jury investigation of, a felony. 11295 (August 5, 1966); and 22 C.F.R. parts 50 and 51.
used to verify your identity. can be found in System of Records Notices State-05, Overseas Citizen Services Records and State-26, Passport Records. may cause delays in processing your U.S. passport application and/or could result in the refusal or denial of your application. authorized and generally described in this section. The U.S. passport card is not valid for international air travel. For more information see page 1 of instructions. recommended for applicants who have previously required the addition of visa pages. 8. Mailing Address: Line 1: Street/RFD#, P.O. Box, or URB. 5) I have read and understood the warning on page one of the instructions to the application form. 11. Have you ever been married? If yes, complete the remaining items in #11. 20. Emergency Contact - Provide the information of a person not traveling with you to be contacted in the event of an emergency. 21. Have you ever applied for or been issued a U.S. Passport Book or Passport Card? If yes, complete the remaining items in #21. 19. Permanent Address - If P.O. Box is listed under Mailing Address or if residence is different from Mailing Address. This file has been shared by a user of PDF Archive. Document ID: 00592046.